"This ought to make sure we don't get any more viruses." Barbie says. "Oh, is that an antivirus installer?" replies Steven. 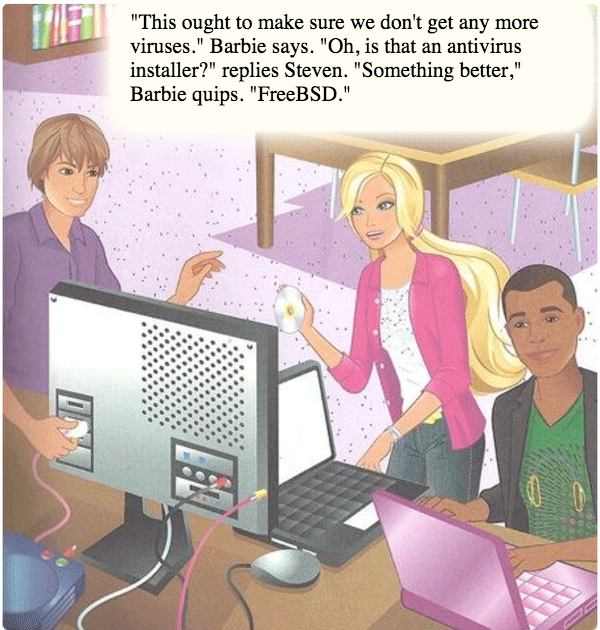 "Something better," Barbie quips. "FreeBSD."